Why use your own home broadband router? Most broadband ISPs throw in a free router, and perhaps even free setup, with a new broadband package to sweeten the deal. As well as being your gateway to the internet, a router also provides wired and wireless connectivity to the rest of your home, so you can do useful things like access the broadband with Wi-Fi, share files, play network games and use smart home gadgets. But while the free router supplied with a broadband package is a simple (and cheap!) way to get your broadband up and running, it isn’t the only option. You may also be able to use your own hardware. And there are several good reasons why it can be worth the small investment. You certainly do not have to get your own router, but it might be an option worth considering if you find the freebie isn’t quite up to scratch. ISP hardware is designed to be all things to all people. Like a rental car, it fits the majority of people, can do the majority of things you might want to do with it and being capable of the majority of tasks you would require. It is not the fastest, the coolest, the most customisable or tuned to do one particular thing very well. If your requirements fall outside of the norm, using your own router is how you address them. ISP hardware is designed to be easy to set up and get your connection up and running quickly. The downside is that you are sometimes limited to how that network is set up. This is fine for most people but if you’re into computers or like to experiment with technology, this solution just won’t do. For example, using ISP hardware means you can be limited to a specific IP address range, limited to a couple of network cable connections, limited in what Wi-Fi channels you can use, and it might not provide useful features such as QoS. Using your own router leaves you free to set up your network the way you want it. ISP-supplied routers are often locked down so you can do very little with them. You might not be able to change the admin username, the firewall settings may be limited and, crucially, security updates may be slow to arrive. Whether you’re a network geek or just have a passing interest, these can all be things you’ll miss. Every hacker on the planet knows that “admin” is often the default username for routers. Not being able to change that means you’ll have to be extra careful when setting a password. The ISP might also have remote access to the router. They may only ever log in to help reset a password or perform other support duties, but the potential for abuse or tracking is there. Another major issue can be the lack of security updates, and the risk that an exploit can be used by hackers to attack a huge number of routers at once. This was starkly demonstrated in 2016 when a security hole in TalkTalk routers exposed many customers to hack attacks. Choosing your own router means that you can be picky about choosing a well-supported model to benefit from frequent security updates. Using your own router means you can be in full control of your own security, lock down the router with secure logins, use advanced firewall protection, keep software updated, and perform many other tasks that make up a fast and secure network. ISP routers are usually free, so it’s not surprising to discover they don’t typically pack the latest technology. They may not support the fastest network standards, and the hardware inside will often be quite slow when compared to higher grade routers. This may be very apparent with Wi-Fi. Even the latest ISP routers can have relatively sluggish Wi-Fi speeds compared to the products currently available to buy. Upgrading to even a mid-range model can allow you to enjoy significantly quicker Wi-Fi speeds. If speed isn’t an issue, signal strength often is. 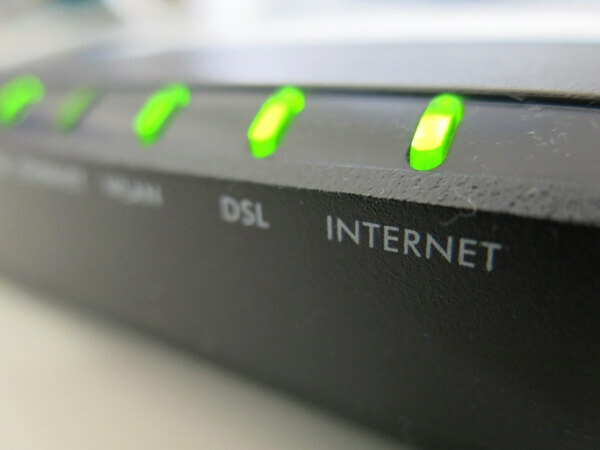 If you have a large home or an older one with thick walls, Wi-Fi signal strength can often fall short when using an ISP router. You will need to experiment with channels or buy repeaters to get good signal. But replace that ISP router and both signal speed and strength can increase. You may even be able to improve the signal with firmware. Ever heard of Tomato or DD-WRT? They are just two of the open source router firmware options that open up when you buy your own router. And this free software can turn a £100 router into something approaching a £1000 router. They replace the factory software on the router and bring some powerful toys to the table. You can boost Wi-Fi signal strength, use built-in DNS, VLANs, router-based VPN clients and enjoy comprehensive QoS controls, among many other features. Quality of Service (QoS) is a traffic management feature that guarantees certain types of traffic. For example, if you’re a gamer you can use QoS to make sure your game traffic or stream is prioritised over all other traffic. So if your family is watching Netflix, your game always goes first. You can use QoS to prioritise your IP address or a given traffic type. It doesn’t just work for games either. You can set QoS for video conferencing, streaming media, VoIP, cloud applications and anything you need to guarantee bandwidth for. It is a very powerful feature. Buying a router to use instead of the ISP-issued hardware can provide more advanced networking features, or at least offer you a greater amount of control over common functions. So what do you need to know if you want to replace the ISP router with your own? First, check that your ISP actually allows the use of another router. Some providers do not support any Wi-Fi router other than their own. With that cleared up, you need to select the correct router type for your connection. If you use ADSL, choose a router which has an integrated ADSL modem. For fibre broadband services using a BT Openreach telephone line (that's all fibre ISPs apart from Virgin Media), a router with a VDSL modem is needed. The broadband can also be setup with a separate modem and router, which is useful if you already own a router which lacks the appropriate modem. In this configuration the modem is connected to the phone line, then linked to the router with a cable. The modem supplies internet access, while the router handles networking and Wi-Fi. (This used to be how most fibre broadband was setup, but increasingly we’re seeing ISPs simply provide all-in-one modem/routers. If you have an Openreach engineer attend to setup the broadband and the ISP has supplied a combination router, ask if they have a spare BT Openreach modem they can give you; in our experience they’re usually happy to oblige). For Virgin Media you must use the supplied SuperHub for internet access. But set it to modem mode and your choice of Wi-Fi router can be hooked up to handle other network functions. What features should you look for when buying a Wi-Fi router? 802.11ac is the latest and fastest Wi-Fi standard. If you have a router with an older type of Wi-Fi, you might find it is unable to handle the top speed of your broadband connection. So when buying a new router make sure it supports 802.11ac in order to get the best performance. Having support for gigabit wired networking will let you enjoy the fastest speeds when using network cables. Gigabit network ports are back compatible so you can continue to use existing devices, while also ensuring your network is future-proof. Wi-Fi operates on two different frequencies: 2.4Ghz and 5Ghz. The latter is used for faster 802.11ac connections, yet has a shorter range than 2.4Ghz. But 2.4Ghz is more susceptible to interference from other devices and appliances in the home. 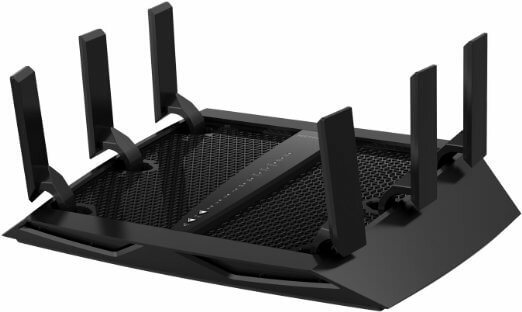 A dual band Wi-Fi router supports either frequency, ideally at the same time. This is helpful if there are lots of other Wi-Fi networks nearby as you can minimise conflicts and interference. You can also configure the network so devices which don’t need the very best performance, such as printers, connect to 2.4Ghz, while games consoles, streaming TV and other demanding hardware utilises the quicker 5Ghz signal. While not essential for many of us, this can be a nice extra to have. USB ports provide access to USB printers over the wired and wireless network, and allow you to easily add networked hard drives to share files. Fancy getting your hands dirty with an open source firmware such as DD-WRT? Before buying, check that this is actually possible by consulting the list of supported hardware on the firmware’s web site. Quality of Service is an incredibly useful feature which allows you to manage the bandwidth allocated to particular devices or tasks. For example, you could put a limit on the speed of web browsing, something which doesn’t necessarily require superfast connectivity, in order to grant more bandwidth for streaming Netflix. When it comes to QoS settings, not all routers are equal and some may only provide very basic controls. If you’re likely to make use of QoS it’s worth investigating what kind of customisation a router offers, before plonking down the cash. There are two main downsides to replacing the ISP router with your own: the expense and the responsibility. A good quality router with advanced features will cost in excess of £100. Prices will vary depending on the features you require, the type of connection you need and the number of ethernet ports you want. The main benefit of using an ISP router is that it is plug and play. Once set up you leave it alone and it provides internet access. But buy your own and the buck stops with you. You have to configure it, monitor it and troubleshoot it should it go wrong. You may need to set your ISP router to modem only or bridged mode, or call your ISP and have them allow your router’s MAC address onto their network. But if you’re happy with that, using your own router is a definite step forward in optimising and taking control of your network.